Sous Vide Australia wood chips are made especially for use in The PolyScience Smoking Gun™, Breville Smoking Gun, Breville|Commercial Smoking Gun Pro and the Unox Hyper Smoker and are entirely chemical-free. 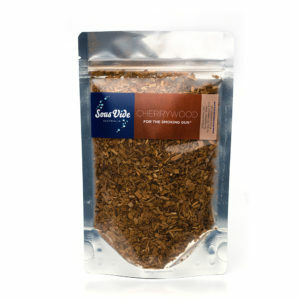 Ground to the perfect consistency for smoking, they smoulder slowly and gently when ignited, so they last a long time. And they’re great with barbecues too – sprinkle a few over the coals before or near the end of cooking to add a delicious aroma to any food. Hickory – This traditional American smoke wood gives the aroma of Christmas hams and bacon. 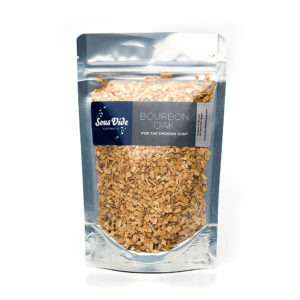 Also ideal for scotch whisky and bourban cocktails. 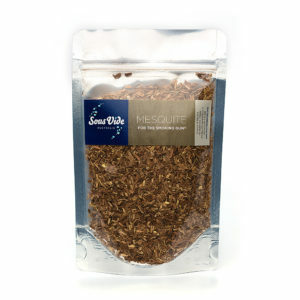 Mesquite – A traditional American smoking wood that adds a robust smoke flavour to fish, meat and vegetables. 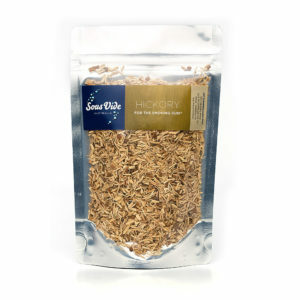 Its subtle aromatics give beef, venison and wild game that authentic Texan BBQ flavour. 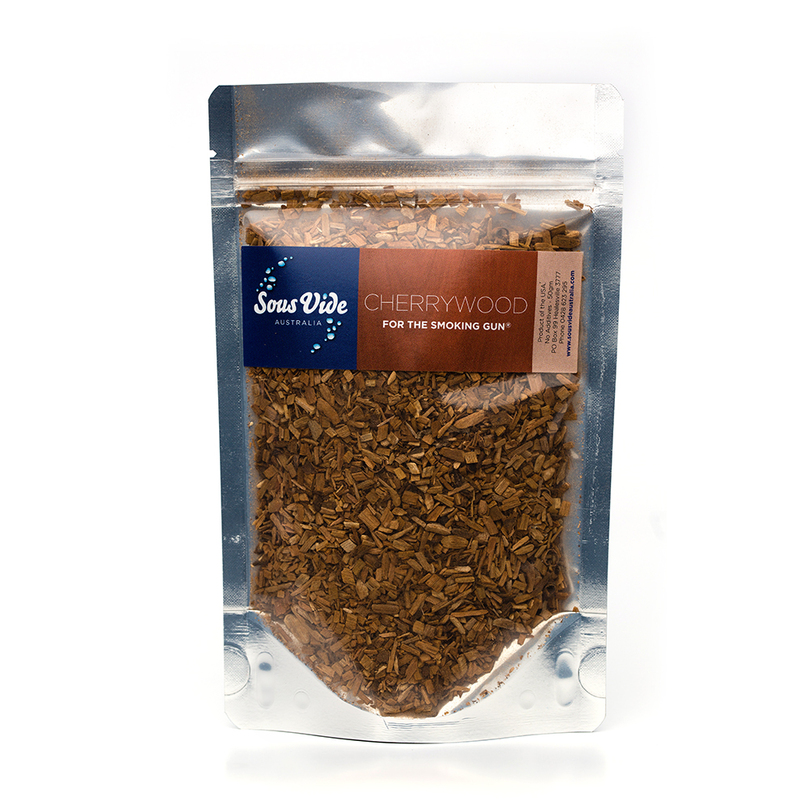 Cherrywood – Adds a wonderful romance to a special meal, their subtle aromatics give unique fruity smoke flavour. Cherrywood is ideal for pork, lamb, beef, poultry and vegetables giving them a delicious fruity aroma. 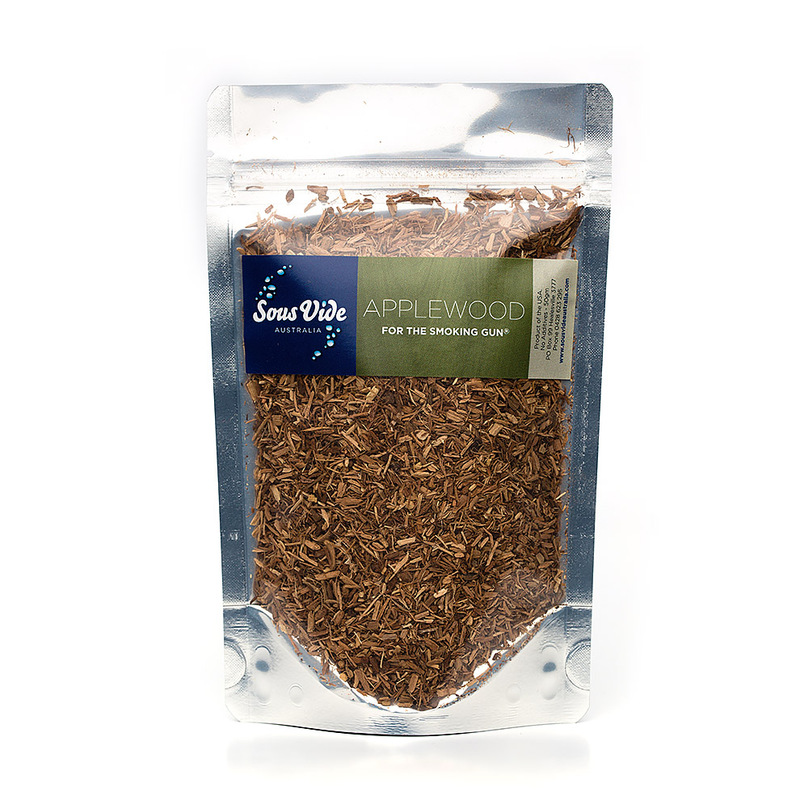 Applewood – This fruit wood gives pleasant light smokiness to meats leaving a discernible fruity aroma and taste. Applewood is our most popular food smoking wood for the smoking gun and a good all rounder for the home cook. 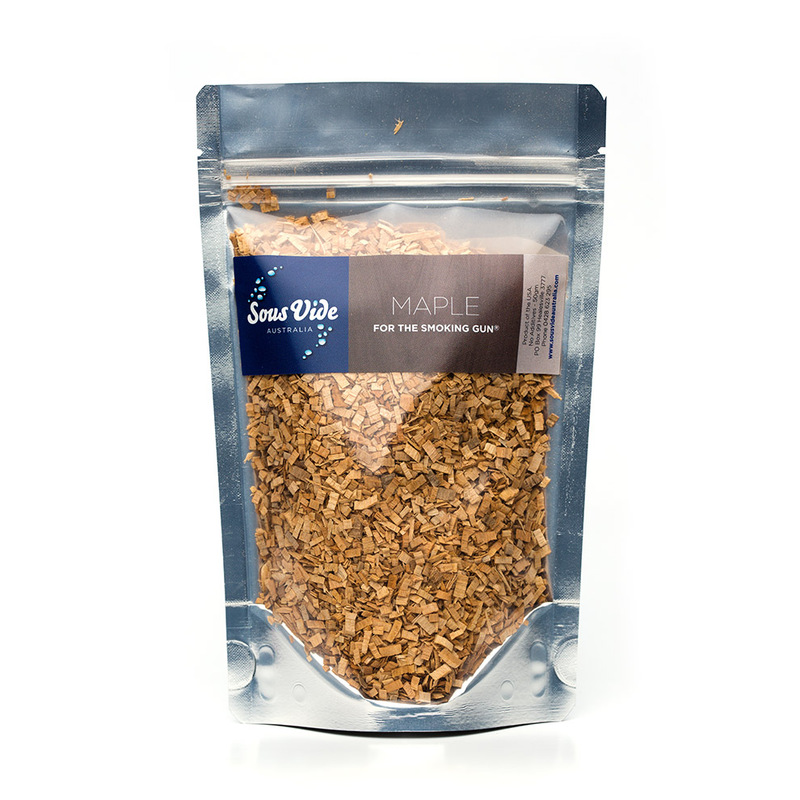 Maple – Provides a gentle sweet flavour to meat and vegetable dishes. 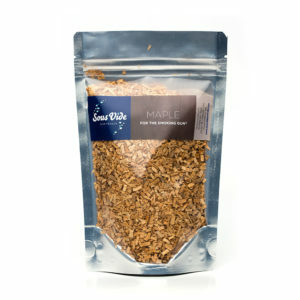 When used with the smoking gun, maple is a particularly delicious compliment to chicken or ham. Alder – Adds a delicate scent and rich depth of smoke flavour to fish, shellfish, poultry, pork, beef, lamb, game, sausages and vegetables. 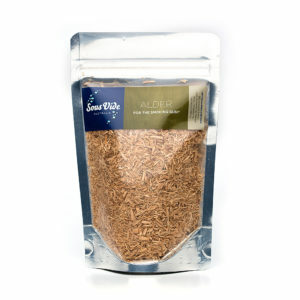 When used with The Smoking Gun, Alder is a great all round food smoke that enhances the natural flavours of meat, seafood and vegetables. 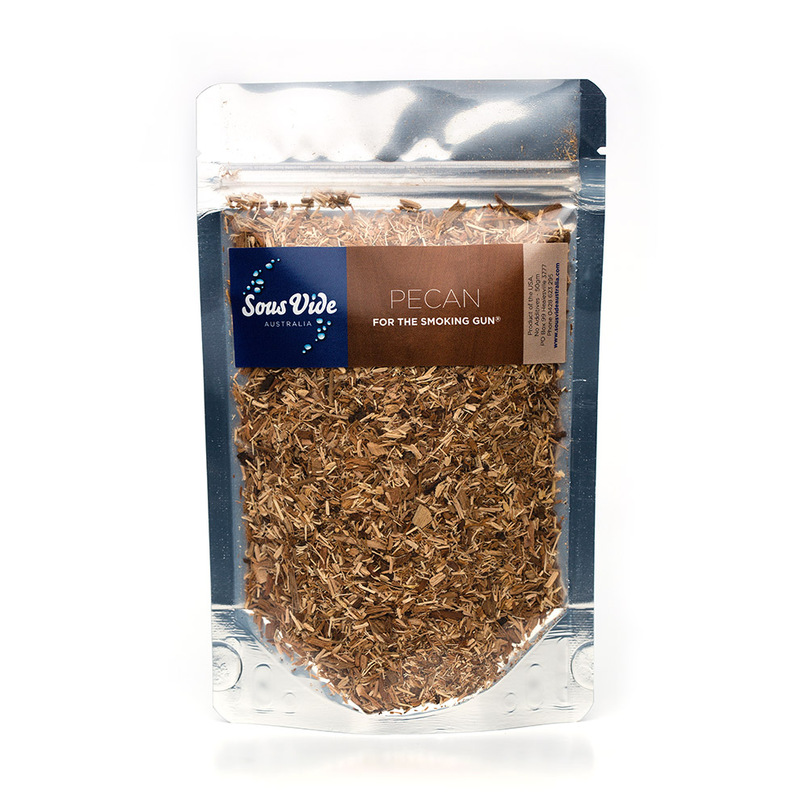 Pecan – Adds a sweet scent and nutty richness to fish, shellfish, poultry, pork, beef and lamb. 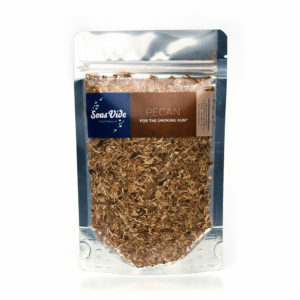 When used with The Smoking Gun, the pecan smoke enhances the natural flavours of meat and seafood. 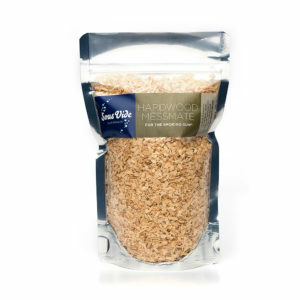 Australian hardwood messmate – Australian hardwood smoke is the smell of traditional Australian country bacon. Butchers Australia-wide use messmate – known as “Australian oak” – as their food smoking wood of choice for chicken, bacon and Christmas hams. Fish smoking is where Australian hardwood really comes into its own. 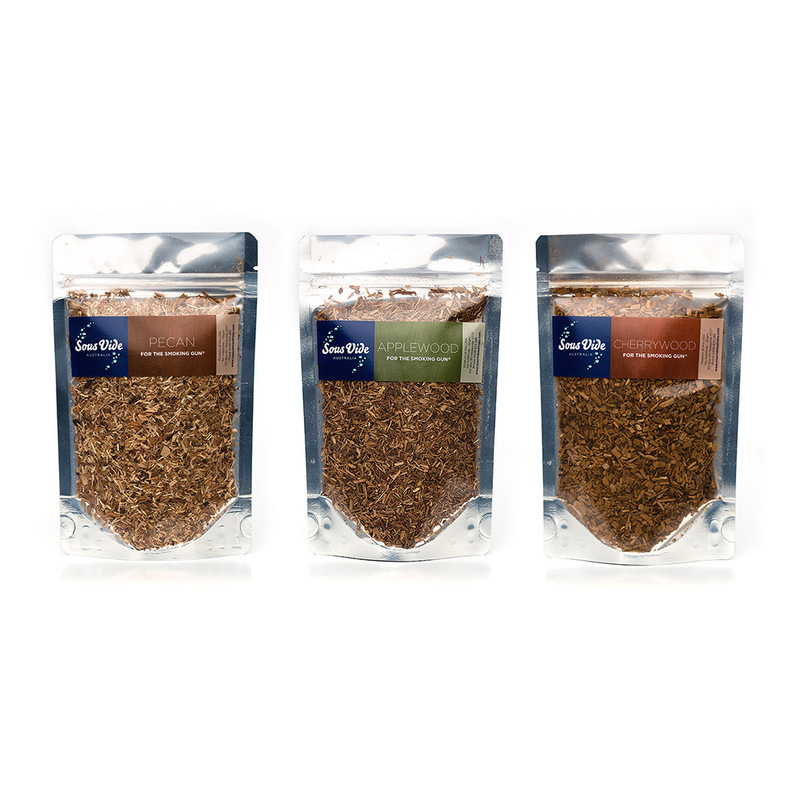 European beech – From the forests of Germany, this high quality food smoking wood gives a luscious smoke flavour to chicken, poultry and pork. 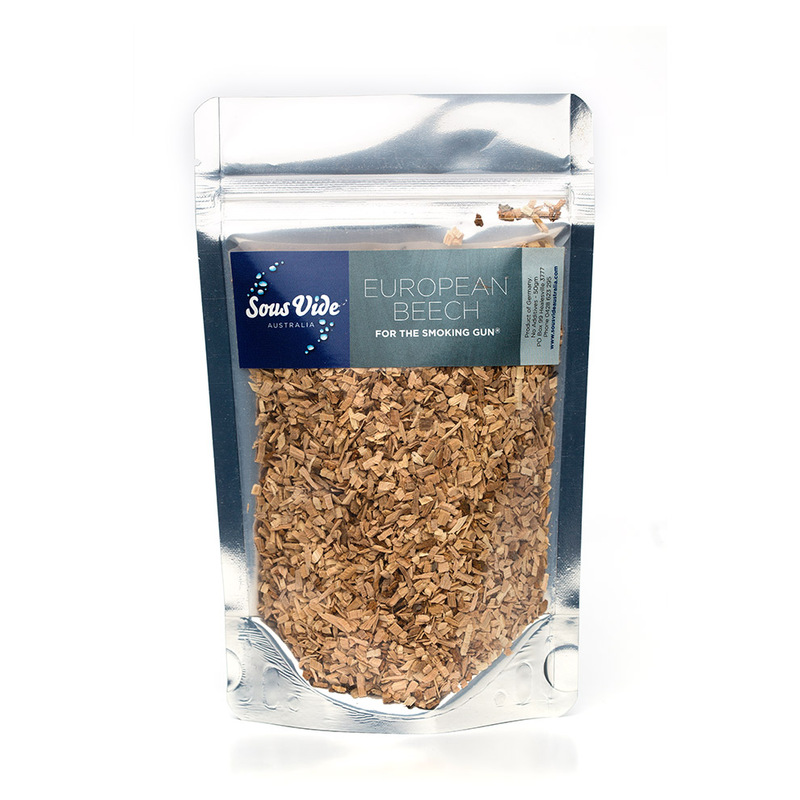 Ideal for white meats, European beech has a refined scent and delicate campfire aromas. Redgum – Provides a classic Australian barbecue flavour when used with the smoking gun. 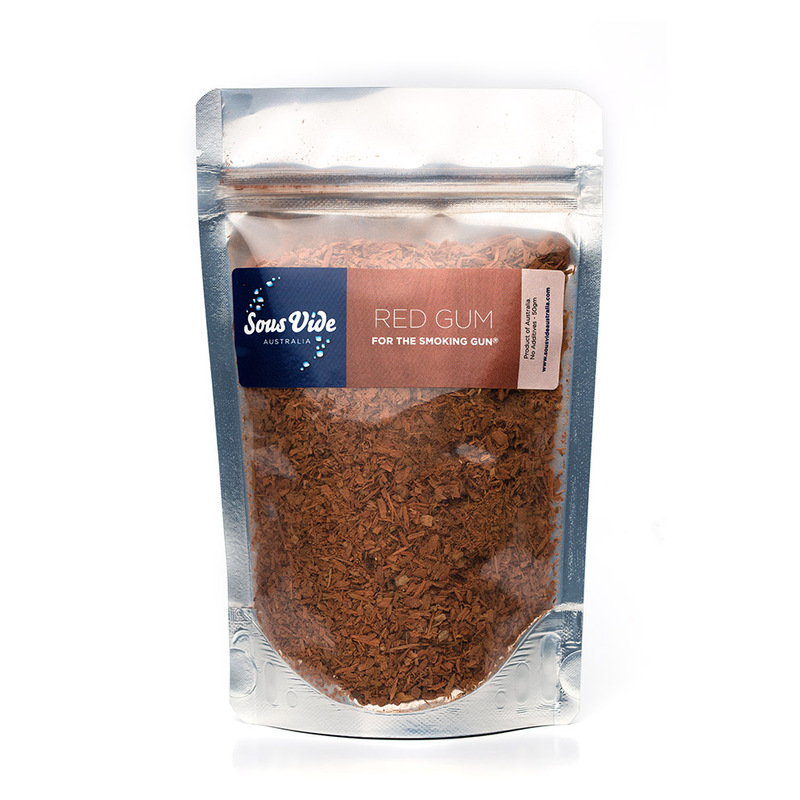 A true Australian flavour, redgum will go great with red meats, such as beef, lamb or pork. Bourbon infused oak – Oak chips with an added touch of whiskey giving you a double flavour hit. Great for game or red meats. Comes in 50g pouches. Product of Australia. Also available in 1kg bags. Available in both 1kg bags and boxes of 10 50g pouches.